I picked up a '71 4V "virgin"engine this weekend. Complete from oil pan to air cleaner. Its got a D0AE block and D1AE heads. Everything looks in order for an engine that has only recently had the intake and 1 head taken off. The bores and pistons look good, at least no gouges or cracks. You can even see the cross hatch marks on the big ends of the rods. I dont see any marks on the crankshaft itself. All bearings have ford part numbers with no oversize stampings. All good so far. When I started disassembly it smelled more and more like "burnt" oil. Upon closer inspection of the bearings, cam spocket and cam I think know the reason for the smell. 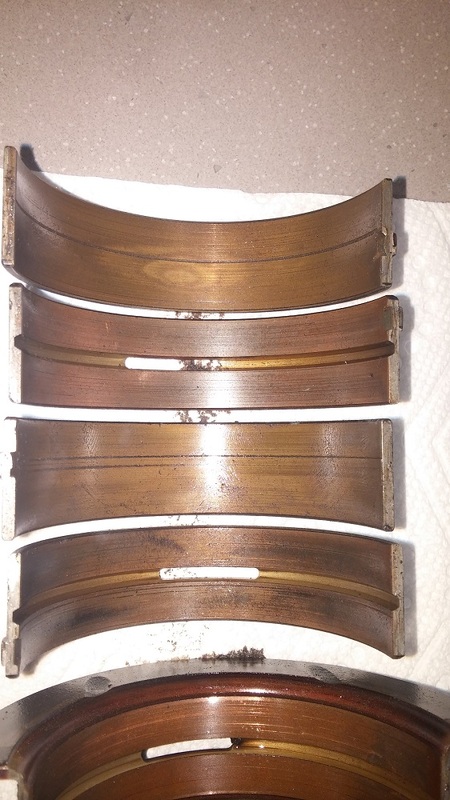 2 or 3 of the main bearings have 1 or 2 gouges on the bottom halves and the rod bearings are showing a lot of copper especially #4 but none look good. The cam sprocket was tying to loose 7 or 8 teeth and the chain was almost falling off it was so loose. The cam lobes are very worn and most of the lifters are concave to the eye. Is there a smoking gun or should I carry on with getting the block and heads checked for cracks and sonic check the cylinders? I'll see if i can upload some pics but you get the gist. Never an oil change or just par for the course? If you find that you need a set of heads I have two rebuilt from my 72 Pantera as well as misc new pushrods, new head bolts, new crank main bolts, and misc roller rockers. I am in Richmond. Also many misc Pantera parts. sounds normal to me, the burnt small coming out of it as you tear it down is probably from the musty oil threads turning after almost 50 years and generating a tiny bit of heat creating the odor. almost like hypoid gear lube? sounds like it was stored at just the right time before the timing sprocket let loose & trashed the whole deal otherwise all you're describing is normal wear. D0AE- what's the dash letter? Yes, now that you mention it, it does smell like a rear end (pun intended). 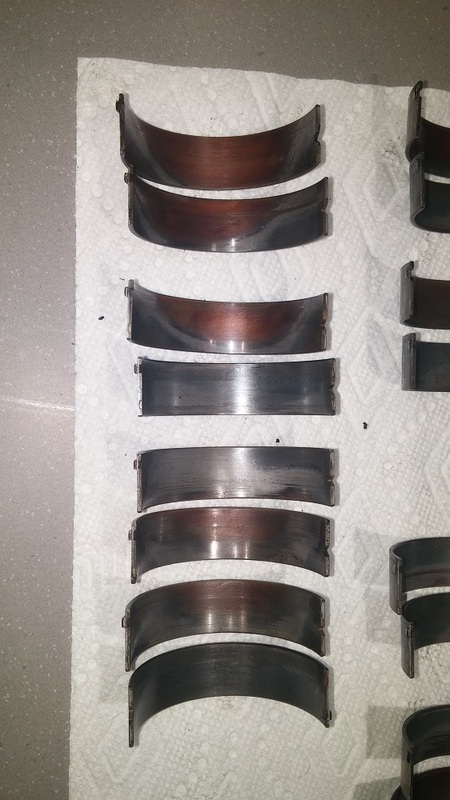 I just thought from the condition of the bearings and other internals that it was creating a hot condition where the oil was breaking down and loosing its ability to lubricate. the number 91170 on the pan rail i'm not familiar with, seen them before in pics but IDK exactly what the number in that location represents? odd that if taken literally as a date September 11, 1970 that predates the cylinder head casting dates by about 10 days - 2 weeks. i wonder if it could be a cylinder block machining date? nothing hand stamped in the front face of the block near the timing pointer? on another note, are you going to keep/save the stock crank timing gear? 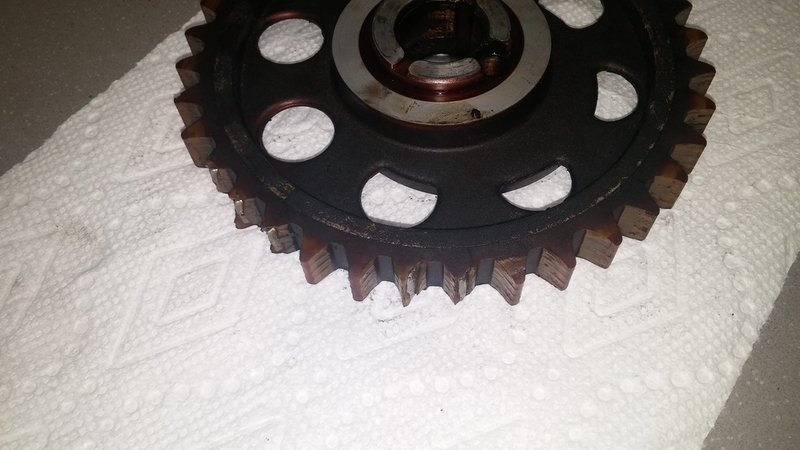 No plans to keep/save the stock crank timing sprocket as the chain has worn into the teeth on that as well. Its just a conversation piece now. T Meyer did send out a note inquiring if people were interested in a CNC block service. I emailed him a while back and asked about it but they were not in a position with all the Track Boss machine work at the time. there's also the Wydendorf lifter bore reamer kit shown in this vid, https://www.youtube.com/watch?v=fxekDALMHME which has been criticized for reamer speed etc but i can tell you it's not for the faint of heart (literally) to do yourself. it's hard work! I wasn't planning on using a stock style replacement set. George has made recommendations in the sticky. Ive collected a lot of parts but getting to the point where the block needs work before anything else big gets purchased. Duraspark distributor w/ Duraspark I module coil and wiring harness. So you can see other than misc.hardware my next step should be getting the block and crank ready. Then I can decide on which way to go with rods, pistons, bearings, head work, pushrods then balancing. I noticed another hand stamping on the block pan rail near the 91170 stamp. It is +49 inside an oval. I wonder what that means? The stamp on the front face of the block near the timing pointer is an upside down "J" followed by "09K0". Takes 5 minutes. Not hard to do?